I had big plans for our tree this year. I had even begun painting my own ornaments. But when inspiration strikes, you need to trust yourself. For me, that meant a virtually ornamentless tree. 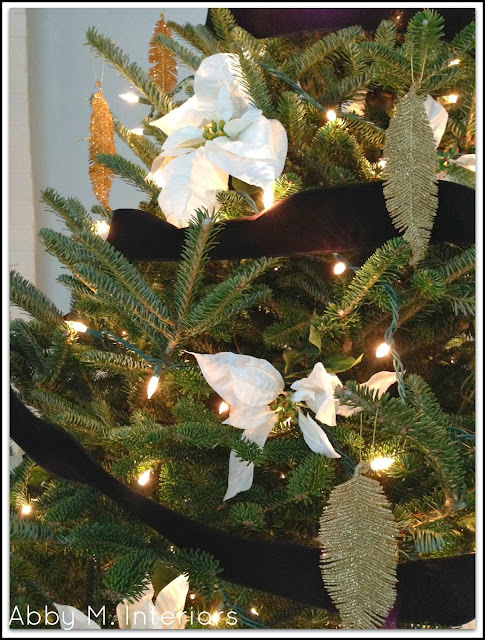 I started with black velvet ribbon, added the white poinsettias, and thought it was so pretty I almost didn't add anything else. 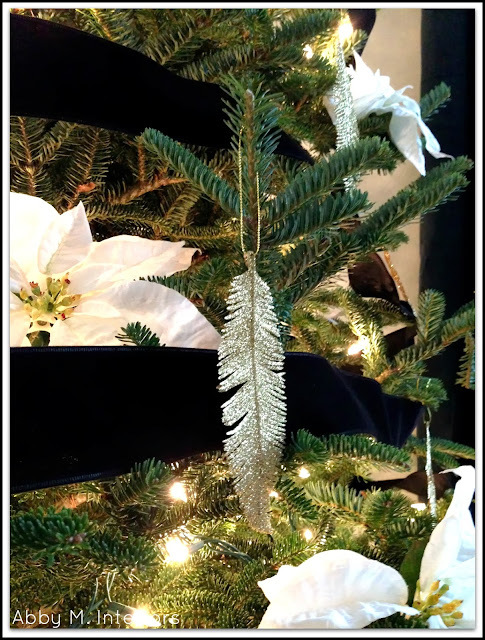 But the gold feathers were just what I needed to finish off the tree. Some sparkle, against the black. Honestly, this is the simplest Christmas tree I've ever done. Less can be more. Less can be beautiful! 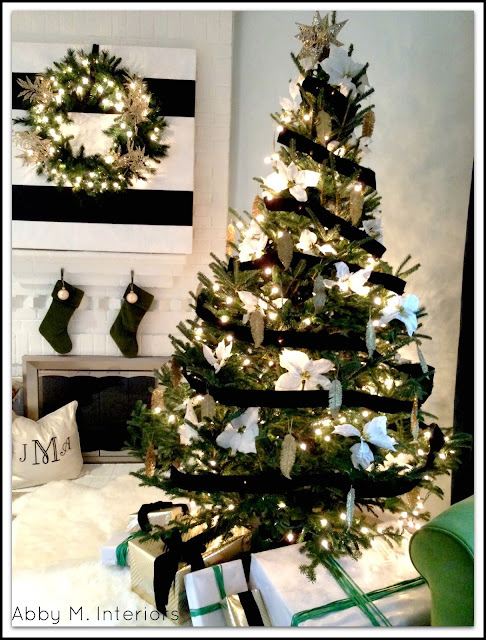 I hope you like our black, white, green, and gold tree. 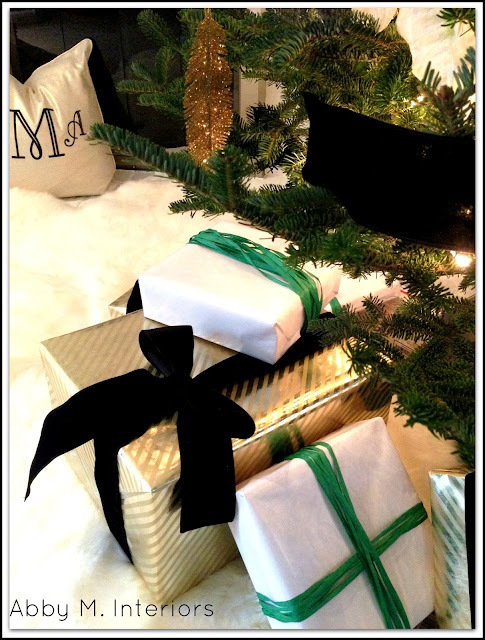 I've found wrapping fake presents under the tree makes a huge difference in the overall feel of the living room. 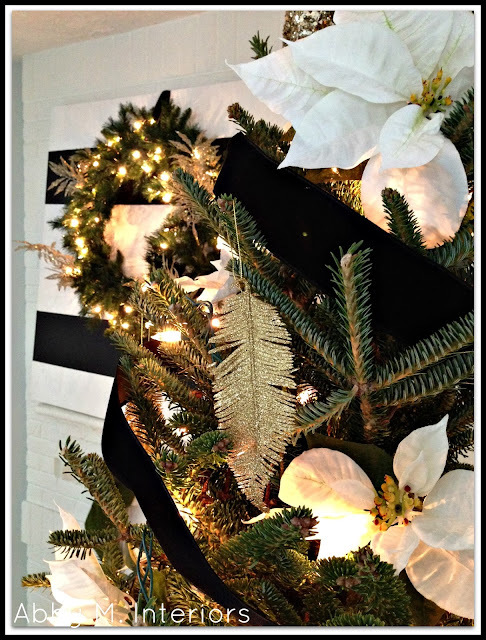 I used white and gold paper with contrasting ribbon. I love our Christmas home this year. I'm tempted to leave all the decorations up year round. If you'd like to work together to create a home you love, click here for more information on my services. 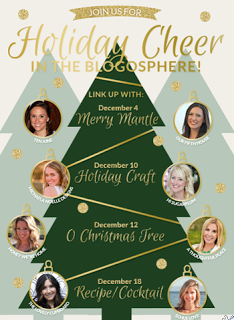 I'm linking up to this Holiday Cheer party. Click on the photo to see other fantastic Christmas trees.